How exciting is it that I was invited to be a designer in the second series of the Splendid Sampler? And I even made the cover! so yes, you get my block for free to get one step ahead before the book ships! We are taking preorders for these books at Quarter Inch - and we'll send you them as soon as they arrive in October - you can order the first one too if you'd like. and Erin at Aurifil some threads to play with. We could use any method, design or technique we wanted so of course I included two of my faves…..
and if you need help with clamshells? well I have a unique product for English paper piecing – they are EPP Iron-ons – yes, iron on leave in epp templates… They are cut from my Applique paper which is a semi water soluble paper with a fusible on one side. So you just iron them on, and leave them in! You can see the step by step tutorial for clamshells by clicking on the pic below. And for even more information and free help on my paper and method subscribe to my Youtube channel where there is a ton of information and technique how to’s for you. I’ll choose two new followers over the next two days (for those quick off the batt) – and one tagged pic (per week on Fridays) over the next month to send a free pack of EPP Iron on Clamshell papers to.. I do so hope you love my block, learn a new tip or technique and keep on stitching along with the Splendid sampler team…. can’t wait to see them all appearing! Win on Pat Sloan’s book tour! I’ve met the wonderful Pat Sloan many times and love working with her. She is so full of energy and ideas and no-one is too unimportant for her to stop and chat with in the aisles or online. Her community is massive and she reaches out and brings quilters together across the world so that they may all share her passion. I have done two radio shows with Pat – albeit quite early in the morning (to get the across the other side of the world timings right) but chatting with her over the airwaves is like sitting with your long lost friend and having a friendly banter. Now the reason I mention this is because reading Pat’s latest book is just like chatting with her in person.. genuine, easy to understand, talks the ‘normal’ talk that quilters of all levels, background, culture and style will relate to and understand. ‘This is my 33rd book in 16 years, and the 3rd in my ‘Pat Sloan’s Teach Me to’ series. 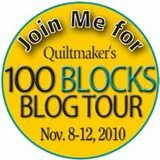 I wrote the book to step a quilter through the basics of quilting their own quilts. It’s for the person who has never machine quilted to someone that does it rarely or only does super simple like quilt in the ditch. and…there’s even links to videos if you’re a watch and learn person. 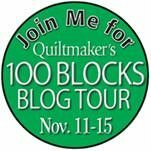 Visit Pat's Giveaway Page to enter to win one of the 5 copies of her 'Pat Sloan's Teach Me to Machine Quilt Book'! Physical Copies for US residents, digital copies for all other winners. Be sure to enter by Midnight Dec 1 and then visit the others on her Mega Fun Tour to learn more about Pat's book, some have interviewed Pat, a few might have a giveaway, or have made a project... it's all listed on Pat's page! and on the ‘enter to win’ page you will see the full list of blog people to visit and see what they thought. 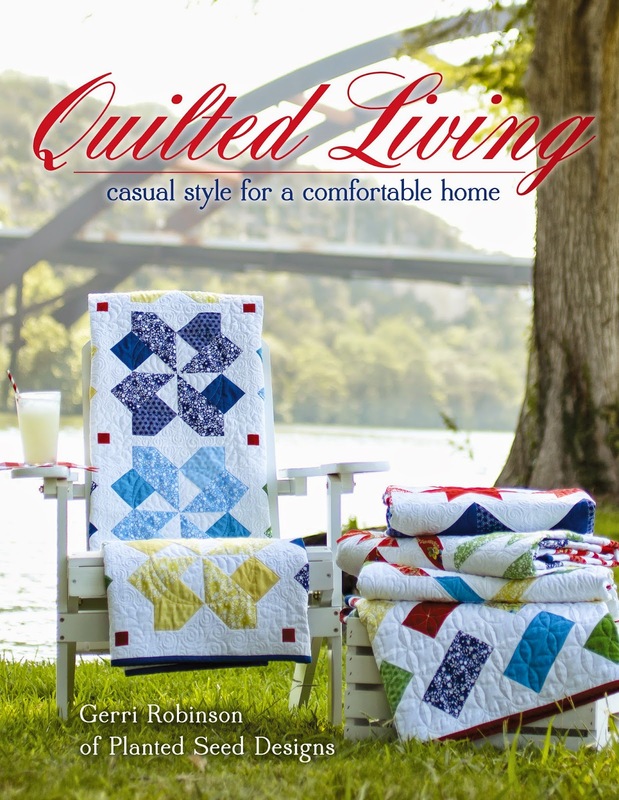 Free Free EPP quilt along with me…. Do you want to quilt along with me? from right in your lounge chair each night… from anywhere in the world? 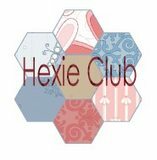 If so, you only have a small window of opportunity to join in..
From now until Midnight 30th September Australian time you can join up by visiting here and purchase the precut pack you will need to complete the mystery quilt. Okay, so that’s not free then you say – but you need these pre-cuts to be able to make the project – and instead of having to purchase a full pack of every different shape poor Tessie has spent hours cutting just the amount you will need for a very good price.. So this free offer is a little thankyou to all of you who have followed me over the past 14 years, who have supported me, bought my patterns, encouraged me and thanked me for bringing a little joy into your life. And it is for you, stitching friends around the world to learn the joy of English Paper piecing the Hugs ‘n Kisses way! Join with us on this 26 part Quilt along – learn many shapes, techniques, a little gluestick applique and more. 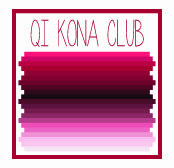 I will take you step by step through the mystery quilt learning a new block, shape or technique with each installment.. The final quilt top will measure approximately 48” x 48”. Most blocks involve handwork, with a small amount of simple machine piecing – and I have assembled the blocks by machine. But all the individual blocks are appliqued or paper pieced by hand – just your little bit of daily therapy… not too much, you’ll easily be able to keep up with just those five minutes of stitching per day or so..
We will be using the Hugs ‘n Kisses EPP iron –ons – if you haven't tried these then my mission on the QAL is to get you totally addicted – you will never do it any other way again…. Our Iron-on English paper piecing shapes are cut from Hugs ‘n Kisses applique paper – which is 50% soluble with a glue on one side. Which means, you iron the precut shape to your fabric, glue over the edges, stitch it up AND LEAVE THE PAPERS IN! so easy….. there are many other positives of this product that make the process so easy and forgiving for all skill levels. Once you have signed up (by purchasing the pack) you will be added to a mailing list and as each installment is released will get a link to download the pattern (which will be work for only 2 weeks). Once the program is finished we will release it as a BOM pattern worldwide as a paid pattern through stores. Some stores are already offering fabric packs to join in now..
Whilst you are working along use the hasthag #EPPQAL to share the fun. I have used my Fancywork Box and Basically Hugs fabrics for my quilt version –which is what you will see each month. We have prepared fabric packs using the same/or very similar fabrics as I have used. Hugs fabric pack – (optional) PLEASE NOTE: we have been overwhelmed by orders and have run out of some fabrics, we have ordered more but they may not get here in time so any orders from now will include substitutes - same colours and very similar values but not the originals. If the order arrives I will remove this message and return to original fabrics. Fee is making a version for me using The new Tilda Autumn tree range which she’ll be sharing on Social media as we progress. Many stores have this in stock now. Esmes has kits ready to offer in Tilda and Sew Bright Alpine Quilting will be ready with kits also by our October start. Or choose your own fabric/colourway – a modern version would be great too! Other things you would have in your sewing box – but if not they are available from here. Inkjet printer or Sewline ceramic pencil. You can see lots of peeks of what you will be making on my instagram feed or Facebook page. And you may like to join in and share our Facebook group just for EPPQAL gals..
remember, click that button now to join in before its too late – Tess needs time to cut enough kits for you so numbers the earlier the better will be great… In the meantime I shall get the patterns ready to go!!! Read more details here.. or sign up right now by clicking the button below. THE FREE OFFER HAS NOW EXPIRED. YOU WILL BE ABLE TO JOIN BY SIGNING UP WITH A STORE WHO RUNS THE PROGRAM AS A BOM OR FROM OUR WEBSITE ONCE THE Initial Quilt along - has finished. AUD$60 + postage GST included. How pleased was I to be asked by The Fat Quarter Shop and Gerri Robinson to be a part of her new book tour…. this book is choc full of things to make for your home… in fresh, bright or patriotic fabrics. the invitation meant I got an early peek at my project of choice and the chance to make someone else’s pattern for a change - which is very therapeutic to me.. I used my Primrose Sands Fabrics (for Red Rooster fabrics). Now, one would think that I would have taken lots of photos with the cushion around the pool! – but unfortunately today it is raining and dull and the pool is not looking inviting at all… this is typical of Tasmanian weather in Spring – so instead, imagine me lying amongst my roses in the spring garden reading a book and having a good cup of coffee…. dont’ forget – leave a comment for your chance to win.. Follow me on Instagram or Facebook for instant peeks of what Im working on next! I wanted to use my new line of fabrics with Red Rooster ‘Primrose Sands’ which meant I couldn’t start my block until two weeks before I left for Market in May – along with making all my other projects for my booth! – nothing like last minute panic. I wanted that soft relaxed look of a seaside villa in spring. Of course I needed to add some of my favourite techniques – a little applique and some embroidery. Which meant I was almost still stitching as packup started on the Sunday at market and poor Carolyn came by for the fiftieth time to pick up my block! oh I work well to a deadline! I used my applique paper to add window boxes full of flowers, pots in front of the home with espaliered flowering roses and an arbour of flowering vine around the entrance ,can you smell the sweet scent as you enter? A lovely ornate door knob was also embroidered over the print of the red Lace fabric.Of course the prefect seaside retreat has lacey curtains on the top floor with the breeze flowing through and lower French windows neighbours can peek in as they stroll up the cobbled path. 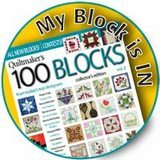 You can all have a chance to win this original version of my block.. you just need to go to http://www.quiltmaker.com/articles/parade-of-homes and leave a comment to win the blocks and a copy of the magazine. Plus many other giveaways and goodies they are offering during the blog hop. I have a little kit of fabric to give away – so you too can make this little seaside retreat – and I’ll include a pack of applique paper – you can see how I use it on YouTube here. 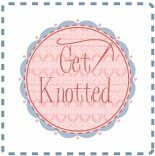 Check out my videos on Gluestick applique–that's needle turn without the turning… by hand or machine–you’ll love it. Just leave a comment below – what would your favourite seaside retreat be like? we are allowed to dream, who know’s maybe one day someone it will just appear if we wish hard enough..
and the fabric pack and applique paper could be winging their way to you. For those who don’t win, Im offering a 10% discount on the applique paper for the duration of the Parade. Use the discount code: parade10 to apply your 10% discount until the 28th August. If you are a winner please contact us with your snail mail address so we can send it straight out! Your new fabrics are just gorgeous, Helen. I'd love to see more mini quilts. Thanks for the lovely giveaway. Beautiful fabric! I would love to see a tablecloth made with either collecton. Thanks! I have shared this on Facebook too because ...who wouldn't share the love of such adorable designs and fabulous fabrics!!! Have a great day! I thought I’d officially tell you about my two latest fabric lines now that they are shipping into Aussie stores as I type. …at market this year I had to be prepared to release two ranges at once – scary but exciting, and a lot of last minute sewing – twice as much as normal… but we got there… so here are the two lines and what Red Rooster had to say about them…. Primrose Sands is the name of a small seaside village in Tasmania, an Island state at the very bottom of Australia near Helen’s home. Helen tells us, “The collection started from my wallpaper photograph at my friends’ beach shack and was the inspiration for the main geometric print of rosettes. My memories of good times at the beach with my girls and our friends…the soft minty greens, romantic pinks, and silver grays with a pop of raspberry signified relaxation, peace, freedom, and perhaps a bit of romance…at the seaside in an Australian summer…bubbles, summer fruit, laughter, and sunshine…” Although the main geometric was inspired by a wallpaper pattern, the bright, bold colors were inspired by popular 1980s colors…pinks, reds, teals, and grays. Helen’s four colorways evolved from her earlier collections. There’s a range of light to medium grays, a selection of light to dark blues, another of light pinks to dark reds, and a nice range of essential white, cream, and beige prints. Clambaked is my free pattern for the Basically Hugs range. Ask at your local store if they can do a kit for you. A simple little banner to show you care. Suited to a 12” table stand. Applique paper included in the pattern pack. and others you can see on the website..
Now I might just have 5 charm packs (4” x 36 Basically Hugs fabrics) to give away. And anyone who purchases any new pattern using the new fabrics over the next week will get another entry…. Do you remember way back in November of last year when I needed urgent assistance to name my basics fabric range? ‘Basically Hugs’ – simple, understated, says what it is, reflects me and my brand (I hope) and will not date…. The range is not due out until maybe June in our stores- but my strikeoffs have arrived, the final 36 sku’s have been chosen, the selvedge is approved and I sit waiting patiently for my yardage to start playing! I am so excited about this range, and its going to be ongoing with new sku’s released continuously so I can keep designing with it! and boy have I been busy designing…over my little break…. keep an eye out here and on Facebook over the next few months as I play…. by the time it arrives you will have no idea what to make first…. so Debra, when it does finally arrive I will be sending you a little bundle if you can send Lori your mailing address. BUT I do have a problem….. I need a name for them..
so, I’m calling in all favours…. lets brainstorm girls.. there are a lot of ideas over on my facebook page already, but nothing is calling to me.. If I love your suggestion and end up using it I will send you a little fat quarter bundle of some of my ‘unnamed basics’ when they arrive next year . Wow what a big week! and a big blog tour… Welcome to all of my new visitors – to the blog, the newsletter or my Facebook page… you are all most welcome here….now to the winners!